Are you looking for information on the company Washung Co Limited located in China who sells RFID Development Kit?If so, read below to read one buyer’s experience with this company. Also you will find related search links to explore more about Washung Co Limited on Supplier Blacklist and across the web. Supplier replied to us after we placed a request with a supplier finder website for a recently obsoleted RFID / NFC reader development kit, the AS3911-DK-ST. Supplier claimed to have this item in stock (>4000 pcs). Their MOQ is 5 pcs. We received a full pro-forma invoice for the parts, with shipping, TT in advance. After full payment sent on 27 December 2018, no further word was heard from supplier. Supplier contact person was Rio Zhang. Need More Info on Washung Co Limited? If you need more information, you can click the below links to search for more submissions about Washung Co Limited on Supplier Blacklist as well as go to the search results page on Google for more reviews online about this company. 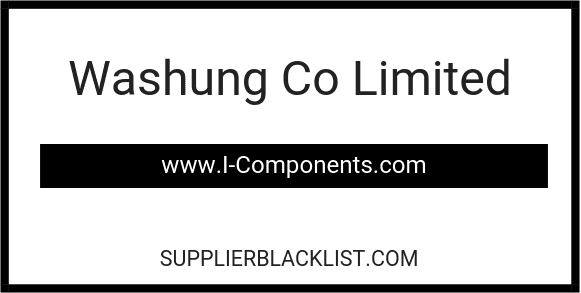 Perform a Supplier Blacklist search for more reviews on Washung Co Limited. Search Google for Washung Co Limited Reviews.